The Sefa Store is the place to be to get all the materials you need for your studies. 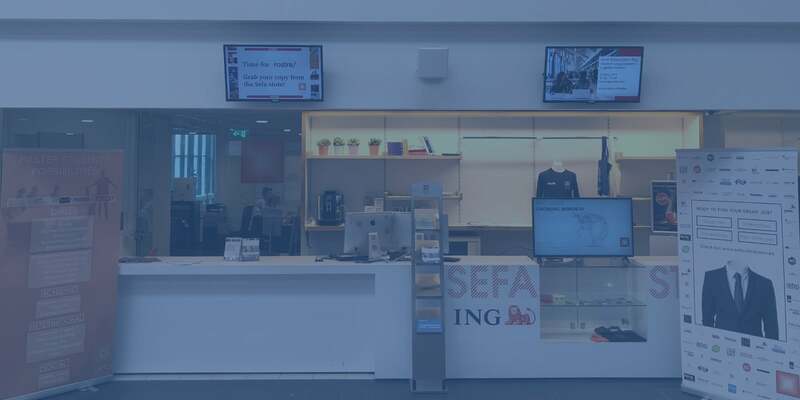 In the Sefa Store, we can provide you with highly discounted books, summaries, information regarding your study track, and study materials such as pens, noteblocks, calculators, dictionaries, USB sticks, etc. Even when you do not need any materials for your studies, you can always come over for a coffee, cappuccino, or espresso to get that extra boost during your day. The Sefa Store is open from Monday to Friday. Keep a close eye on the time schedule in order to know at which times you can buy everything required for your studies. Check out the book section of our website to see which books are currently available in the Sefa Store.